Our NYC rodent control experts can get to the root of your rodent problem and help you prevent future infestations. Do you hear mysterious scratching noises behind your ceilings or walls? Have you found large holes in your walls? These may be signs of a rat infestation. At B & D Pest Solutions, rodent control is one of our specialties and we are here to help! Rats and mice are much more than a nuisance, and can cause extensive property damage and spread disease. You will likely learn of their presence when you see rodent droppings near a shredded paper or food source. If you think you can simply remove them with rat poisons or traps, you may be mistaken. In order to permanently remove them from your home, you will need to prevent their access by sealing all entry points. It is also important to eliminate all rodent attractions such as water and food. When you hire our rodent control experts, we get to the root of your rodent problem, seal all entry points, and take preventative measures to avoid future infestations. are produced yearly by a single rat. is the average mouse lifespan. Rats and mice are highly destructive causing much damage everywhere they live. Unfortunately, they like to live near humans and often without being detected. You may find them in places such as your basement or your attic. Rats are found to be about 16 inches long but can grow even bigger. Mice are much smaller, about 2-4 inches long (including their tail). These rodents carry disease that can cause severe illness in your family or children and damage to your home and property. Call B & D Pest Solutions in Staten Island today—we will get rid of your rat or mice infestation with safe and minimal use of chemicals. Because of the proximity of humans to the infested areas, we take extra precautions to avoid any toxicity or allergies developing in our customers. Can B&D eliminate rats and mice? Yes. B & D Pest Solutions offers you professional expertise and personalized service to treat rodents, insects, spiders and any other pests that infest your home or place of work. Contact B & D Pest Solutions today — we are your rodent control specialists! What is B&D's control process? Trapping – Rats and mice have a weakness for food that lies out. Our bait traps are used to lure the rodents out of their little hidden homes and into our traps. Poisoning – Poison is more effective against infestations involving more than a few rats or mice. Prevention – The best way to avoid rat and mouse problems to stop them from entering your home in the first place. We will be sure to give you tips on keeping your home rodent-free. What can homeowners do to reduce an infestation? While it’s good to be proactive in dealing with rodents, it can be very dangerous because of the diseases they carry. Call a professional exterminator immediately. B & D Pest Solutions is your best bet for effective bed bug removal. Also known as Norway rats, these rats have dark brown hair with large round ears. They are big too, an average of 16 inches long (not including their tail). Watch out, they like to live in your home. The house mouse likes to live with humans in their very own house. These tiny mice are less than 4 inches and have brown or black fur. They like to feed on human food or trash. 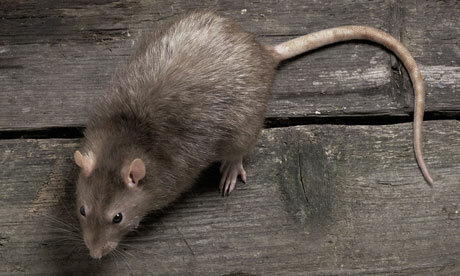 Brown rat: Also known as the Norway rat, these rodents have characteristically large round ears and dark brown hair. They are large in size (an average of 16 inches). House mouse: This one loves to share your living space. These are small in size (no more than 4 inches) and have black or brown fur. They generally feed on trash and human food. Rodents are everywhere – homes, supermarkets, warehouses, food processing facilities, farm fields, and restaurants. They can damage buildings by their gnawing and burrowing activity. Rodents can gnaw through various kinds of materials such as concrete, aluminum siding, and cinder block in order to reach a location. Rodents are also known to cause serious illness. However, today, the threat is not as critical thanks to increased sanitation and effective rodent control programs. The house mouse is the most common health threat due to the allergens it spreads, causing allergic rhinitis and asthma. This mouse may carry a protein in its blood that can trigger allergic reactions in susceptible people. Rodent populations multiply quickly so time is of the essence. It is important to target rodents when their population is small, before it turns in to a full-blown infestation. We have an effective and successful rodent control strategy that involves proper sanitation measures, exclusion, and population reduction by means of trapping. Trapping: Rodents often go after food that is lying outside. We use this weakness of rodents to lure them into our bait traps. Prevention: Prevention is better than a cure. The best way to avoid rodent problems in your house is to stop them from entering your home in the first place. At B & D Pest Solutions, we strive not just to eliminate rodents from your home, but also to prevent their entry and re-entry. We offer tips on rodent prevention so that you can keep your home rodent-free always. If you are experiencing a rodent infestation in your home or business, you should immediately contact the experienced pest control experts at B & D Pest Solutions. Our team of professionals is trained not only to manage current infestations, but also to prevent future rodent infestations. Schedule a home inspection now and let our experts create a tailored extermination plan for you! Are these pests bugging you?